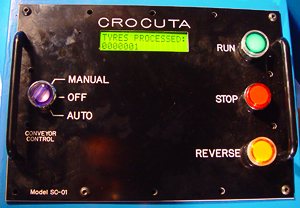 We offer the design and supply of laser-engraved metal and plastic control panels and labels. For the harsh environments that clients operating in the agricultural, industrial, and mining segments need to deal with every day, we've found "Traffolyte" (a generic term for what once was a product name), a 2- or 3-ply plastic material, to be ideal. It is available in a wide range of colours and finishes, and provides an attractive look. It is cost effective and can easily be replaced if damaged. We can also offer "slickers", which are a softer plastic, but make for good-looking, glossy, UV-stable, and outdoor weather-resistant labels. If metal is your preference, then we can accommodate that requirement too, with your choice from a wide range of textures, colours, and materials.